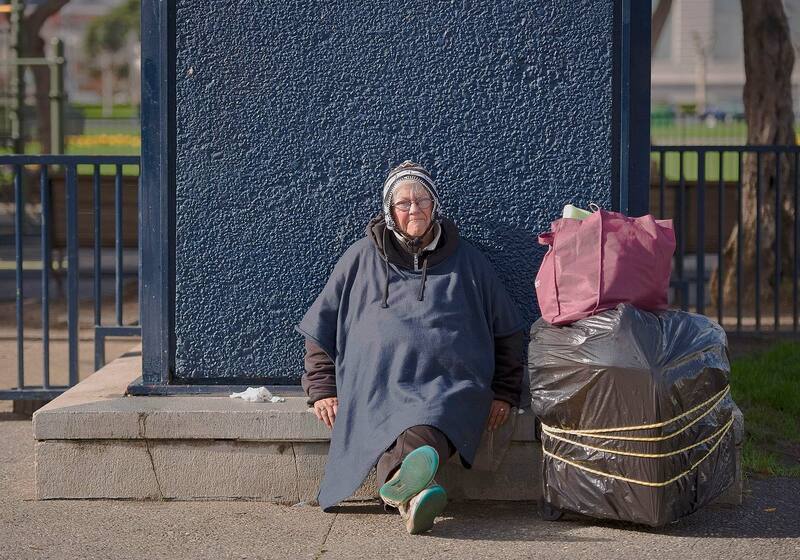 A homeless woman sits with her belongings near San Francisco City Hall. The National Alliance to End Homelessness predicts that senior homelessness will more than double by 2050. Photo was part of a series on the plight of the elderly poor in America.